...When you buy so much that you can't fit everything all into one image. Ooops. First up are two of the items that I wanted most to find in HDKL! 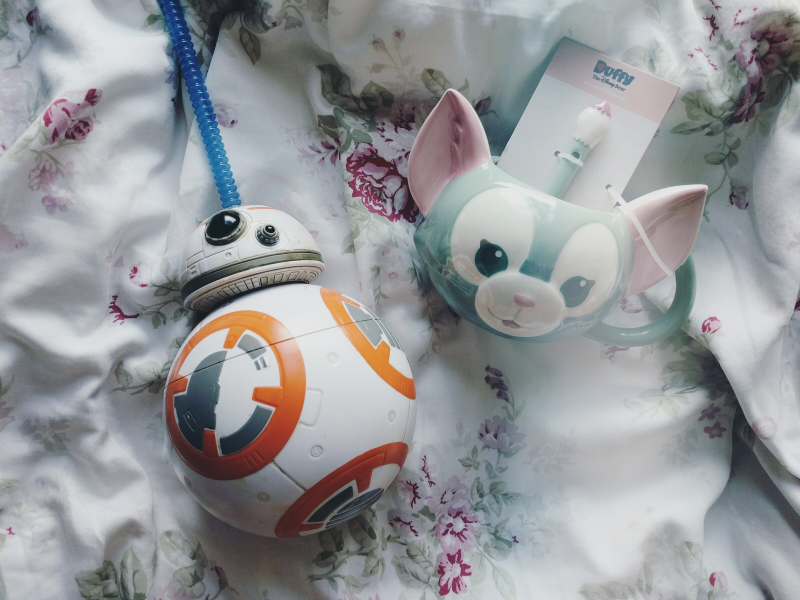 I'd seen these BB-8 cups all over Instagram and I'd been wanting one ever since so I was really excited to see that HKDL sold them too! I'd also seen before we arrived that they sold these downright adorable Gelatoni mugs so I made sure to track one down as well. Those pink ears though! As soon as I spotted this oversized Minnie bow band on Main Street I knew I had to have it! 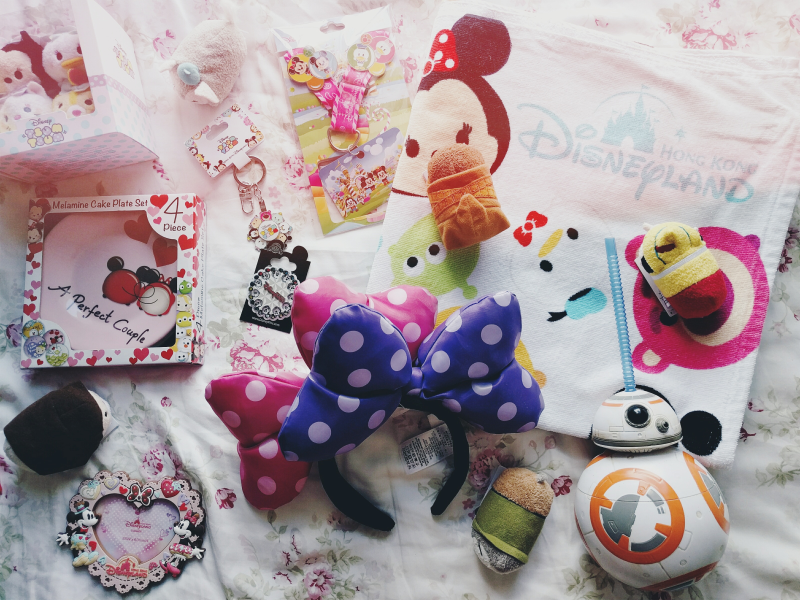 Anything with bows on and I need it! 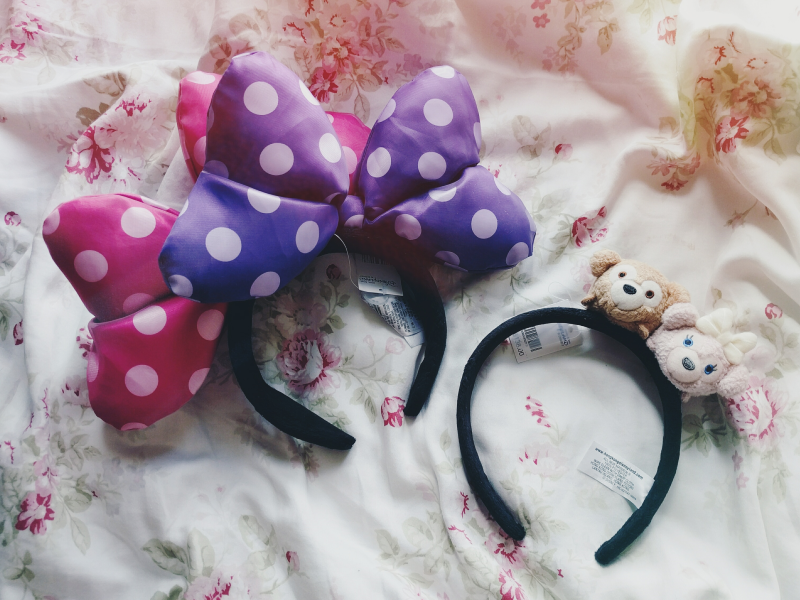 And I'm obsessed with this Duffy and ShellieMay headband! We spotted a girl in Toy Story Land wearing the Winnie The Pooh version (which I'm actually giving away here!) 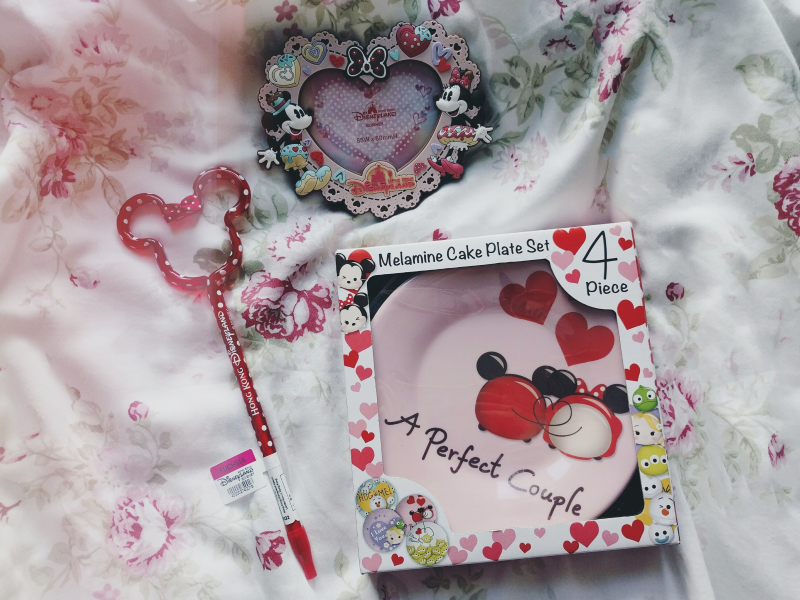 and it looked so cute on her. I'm not the biggest Winnie fan so I chose the Duffy and ShellieMay version instead as I believe they're characters that are generally exclusive to Asia. I hope I get the excuse to wear it soon! 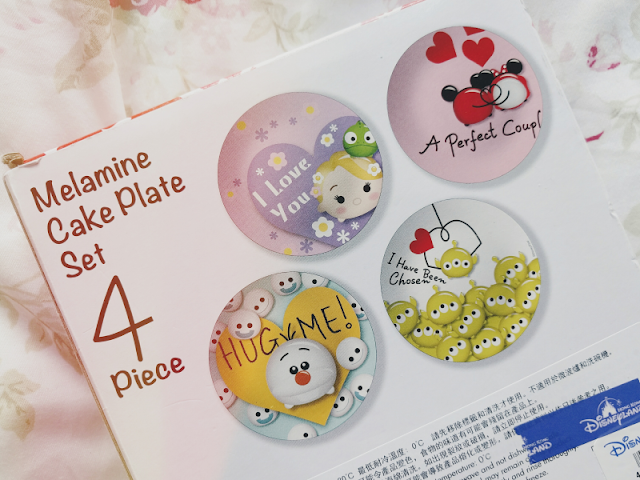 I knew that I wanted to pick up a HKDL pen and frame as they seemed like essentials for a Disney trip but I also found these lovely little Tsum Tsum plates on sale in one of the shops and I couldn't resist them! As I've built up a small collection of pins now I wanted to get a lanyard and pin which both had HKDL on to remember my trip. This lanyard set came with two pins on which will be perfect for trading with so I'll definitely have to try pin trading when I next go to a Disney park! 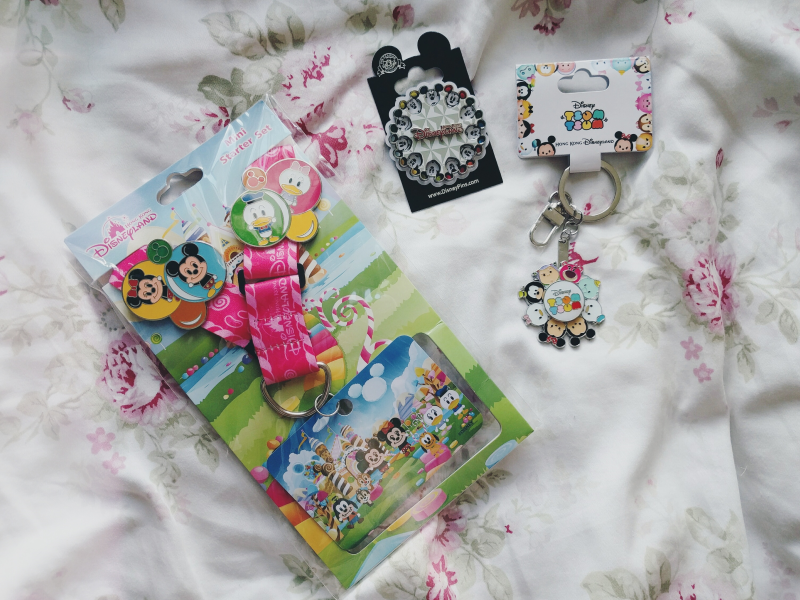 I also bought this sweet little Tsum Tsum keyring for my keys. 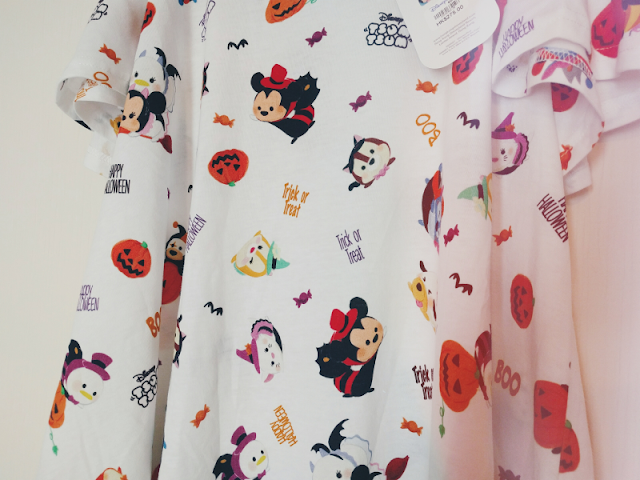 Even though I can't be at Disney this year for Halloween at least I can be there in spirit with this Halloween-themed Tsum Tsum top! 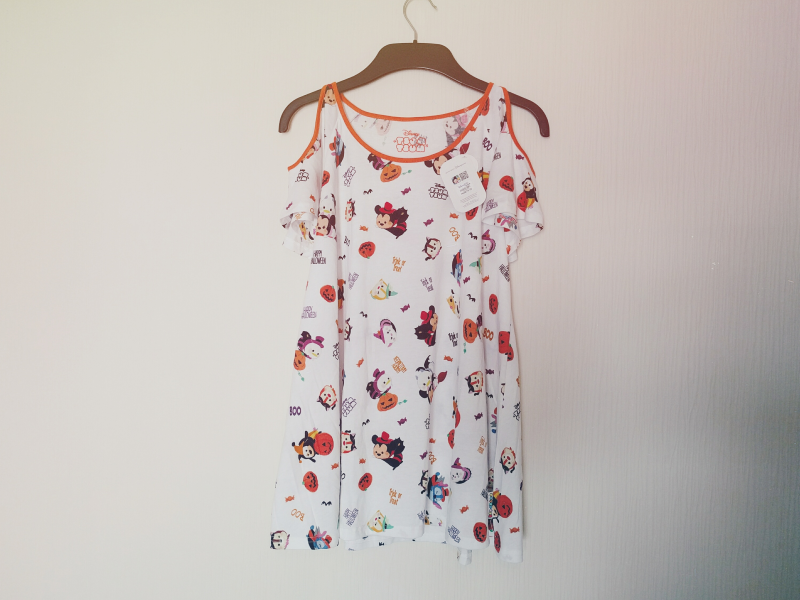 I love the little Tsum designs and the cold-shoulder detailing. I'll be wearing this a lot in October! 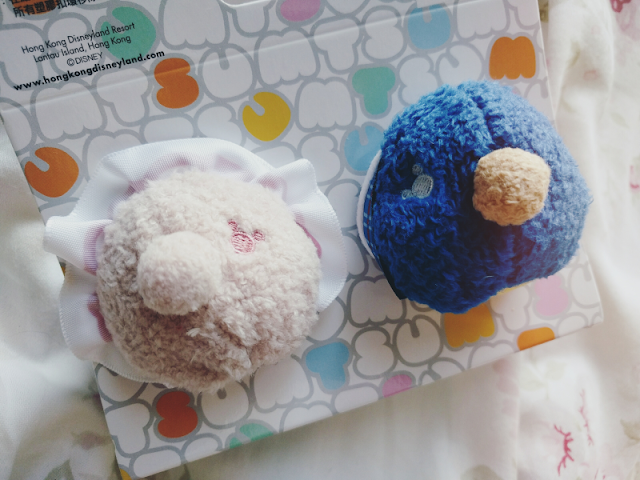 And of course I had to buy some Tsum Tsums! 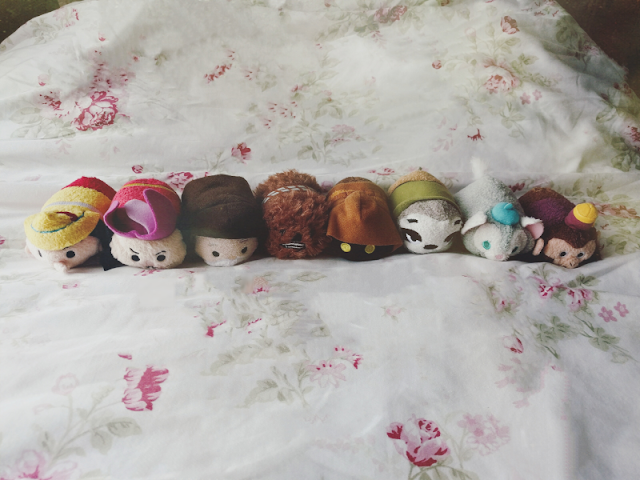 Hong Kong had an amazing stock of Tsums, even of characters that have been long sold out in the UK! Luckily I managed to pick up a few Tsums that I'd missed out on previously like Chewbacca and Flash which was a bonus! 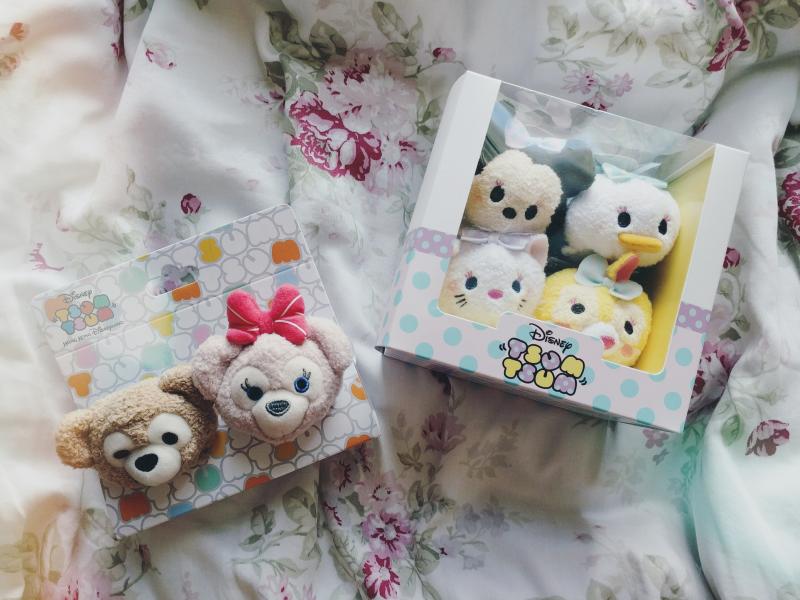 Lastly I also managed to get my hands on two limited edition Tsum Tsum sets! My lovely boyfriend bought me the Minnie and Friends Dressy set from the airport HKDL shop on our way into Hong Kong and then I bought the Duffy and ShellieMay Spring set on our departure with my leftover Hong Kong Dollars. I didn't think there was going to be any special Tsum sets available when we went so I was very excited to get these! 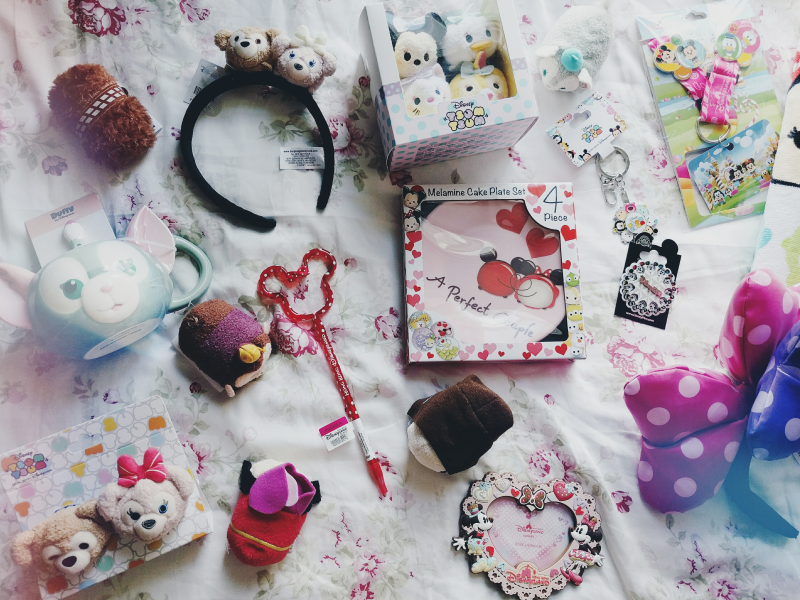 I especially love the little Mickey details on Duffy and ShellieMay! There we go! I've got lots of posts on HKDL and Hong Kong in general still to come so watch this space!